Quick and easy to setup with only 30 seconds assembly time. 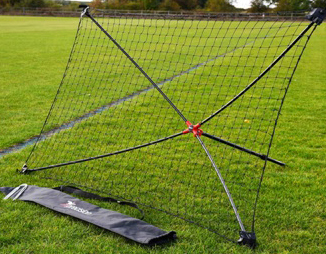 The Precision quick setup rebounder delivers quick training drills, repetition, improves skills and techniques. Adjustable and lightweight, the net size is 5t by 3ft. In addition a carry bag is included along with three sturdy ground anchors. Now in stock.